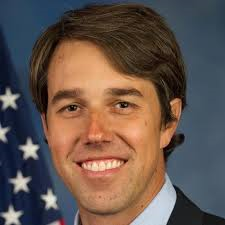 Texas Congressman Beto O’Rourke (D-El Paso) recently participated in a home care visit with Tender Care Home Health, a home care agency that serves patients in his District. The visit offered the opportunity for the Congressman to see first-hand the importance and value of providing quality care in the home to Texans who need it most. “Ensuring necessary home care services are accessible is the solution to our rising healthcare costs. Home care is a practical, cost-effective solution for many families and we hope Congressman O’Rourke uses his positive, first-hand experience to continue educating other Members of Congress on the value of our industry,” said Rachel Hammon, executive director of the Texas Association for Home Care & Hospice (TAHC&H). TAHC&H is working to educate Members of Congress from the Texas delegation through direct dialogue and experiences on how home care and hospice services provide essential access to health care for elderly, disabled and medically frail Texans. Resources are available for other state associations to follow suite on NAHC’s Legislative Action Network website. Home care provides high-quality, cost-effective health care services in the comfort of patient’s own homes rather than resorting to vastly more costly alternatives such as hospitalization or nursing homes. Reimbursements for home care services provided under Medicare were cut dramatically as the Affordable Care Act phased in this year, and risk other potential cuts through CMS’ misguided rebasing Final Rule. “We are proud to have Congressman O’Rourke join Tender Care Home Health on a home visit. This experience showcases the importance of home health care as it serves those who truly require high acuity, medical attention in a place where we all want to be--home,” said Ann Rodriguez McConnell, RN, administrator of Tender Care Home Health. Other home care and hospice providers are encouraged to set up home visits with their elected officials, as they are the most effective way to demonstrate the high-quality, cost-effective and preferred care that Americans want. Contact the local office of your senators and representative and ask to speak with the scheduler and/or the person who handles Medicare issues. It's a good idea to speak with both. Invite the Member to visit your agency to see firsthand the compassionate, high quality, cost effective work that you provide your patients. When you secure a commitment to come along on a home visit with your agency, work with the Member's press staff to invite the local media to come along on the visit. Brush up on the issues by reviewing NAHC's talking points/issue briefs on preserving access to home care and hospice. Urge the elected official to contact Congressional leaders to express his or her support for home care and hospice and opposition to any threatened payment cuts or copays. Don't forget to take your camera and email pictures and a description of the visit to NAHC Report. As a reminder, you would need the patient’s permission and a signed release form for photos. Make the most of your visit! NAHC Report and other NAHC publications can highlight members' advocacy efforts. Rep. O’Rourke joins other lawmakers in seeing firsthand they type of care that home health organizations provide. Home care and hospice advocate Senator Susan Collins cites her experience going on a home visit for why she is such a strong supporter of the home care and hospice community. Home visits are an extremely compelling way to ensure that your elected officials are informed about the benefits of home care and hospice. Home care visits also create an opportunity for you to write about and take photos of the event and/or invite your local news media along to cover the story.